Explore one of the world's most dazzling residential neighborhoods with knowledgeable and entertaining guides. Highlights include the St. Charles Avenue Streetcar; the homes of Anne Rice, Trent Reznor, Archie and Peyton Manning; Nicolas Cage, John Goodman and Sandra Bullock; the cornstalk fence; and death site of Jefferson Davis; and film site of Brad Pitt's "The Curious Case of Benjamin Button." Explore the famed aboveground tombs of Lafayette Cemetery #1, including the Interview with the Vampire, Double Jeopardy, and Deja Vu film sites. Learn about New Orleans’ peculiar burial practices and funerary customs. 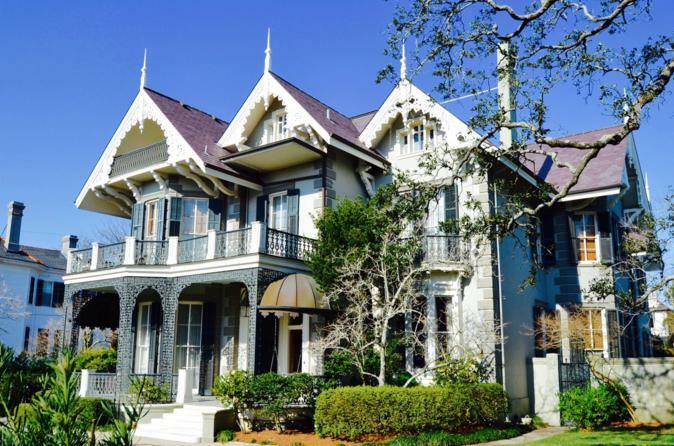 Experience the architectural splendor of the live oak-tree lined "American" sector of town and examine the antebellum era "Creole vs. American" conflict. Witness how history and culture are reflected in the use of architectural styles including Greek Revival, Italianate, Gothic, Georgian, Swiss Chalet, Queen Anne, and more. Jefferson Fire Company No. 22 society tomb, situated across from the fictitious Mayfair family tomb featured in Anne Rice's The Witching Hour.The Garden District/Cemetery tour emphasizes history, architectural style, personal anecdotes, and tropical plant life.